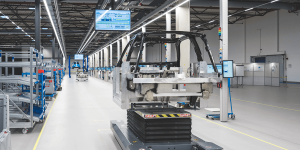 VW confirms that the MEB platform is open to outsiders and has already announced a first partnership with the EV startup e.Go Mobile from Aachen. Meanwhile, pictures of the ID. Buggy have made it onto the network after the debut night in Geneva. 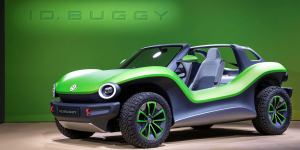 The German electric car startup e.GO Mobile will present two new vehicles at the Geneva Motor Show. The e.GO Life Concept Sport is a sporty version of the company’s debut EV e.GO Life, whilst the e.GO Lux is a small electric bus reimagined for private use. 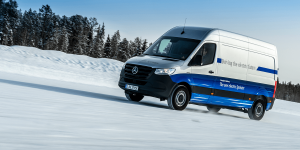 The Aachen-based EV start-up e.Go Mobile is going for connectivity as they strike a deal with Cubic Telecom. The latter offers a platform for advanced connectivity so the e.Go electric car will include real-time monitoring and remote management functions. 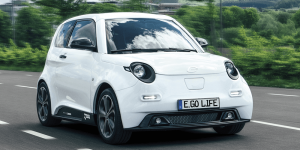 In an almost Tesla-esque move, e.Go Mobile, the latest start-up to come out of e-mobility hotbed Aachen, has sent an email to reservation holders: The delivery of their electric car e.Go Life would be delayed by months due to suppliers exercising caution after diesel-gate. 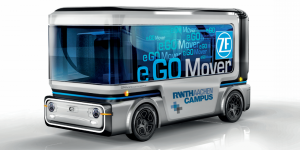 German supplier ZF and Aachen-based startup e.Go Mobile, that also worked with DP/DHL on the StreetScooter, have set up their planned joint venture e.Go Moove to produce electric vans from 2019. ZF is careful not to rival existing clients but is hoping for fast synergies and autonomous tech trials. e.Go Mobile, the startup based in Germany’s EV hotspot Aachen, has come to Hannover to present its digitisation strategy. Based on the Microsoft cloud Azure, e.Go Digital is to help the firm’s electric autonomous mini bus to move smartly through urban traffic. 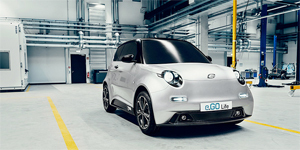 Aachen-based startup e.Go Mobile will start to produce its compact EV e.Go Life serially from May, 15, CEO Günther Schuh revealed in an interview. The first 200 units will serve in testing and as company cars while non-employees will get their EVs from October. 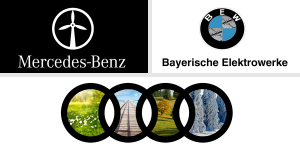 BMW, Audi, e.Go Mobile, Local Motors, Porche, Mercedes. BMW to take on Model 3? Even in Bavaria they feel the reverberations of Tesla targeting the mass market and thus insiders predict BMW may fully electrify the 4-series GT. They aim for the economy segment albeit at a price around 47,000 euros but below 40k pounds in the UK. Here, the 4-series GT EV is to hit the stores from 2020 with a range of 500 km delivered by a battery between 70 – 90 kWh. Currently, two motor set-ups are being pondered, one with just a front-rear drive and another that combines two electric motors for an AWD option. Audi readies itself to fight the Model 3 as well with what will be its third electric model as announced. Details just emerged that tell of a launch by 2019 and a car that is a bit bigger than the A3. Two electric motors are to provide the drive over up to 500 km on a single charge. 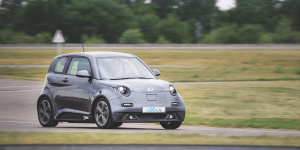 Low cost compact EV: German start-up e.Go Mobile has opened the order books for its small electric car of the same name. Each pre-order is worth a 1,000 euro deposit with production to start early next year. The e.Go Life aims for a retail price of 15,900 euros and works with technology by Bosch, who will also take over after sales services. 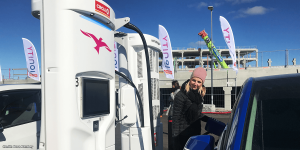 Two battery options gurantee a range between 130 and 170 km and e.Go hopes the car will find fans among city dwellers aware of their realistic cruising needs. This is Olli: Local Motors has 3D-printed its first autonomous electric shuttle aka Olli in its micro-factory in Tennessee. Ollie carries up to twelve passengers and is scheduled to go on trial in both Denmark and Germany. The latter’s capital even plans to install a dedicated facility to print the EV. Porsche kills 911 PHEV: There will be no plug-in hybrid icon from Porsche, August Achleitner, head of 911 development revealed, saying “the disadvantages outweighed the advantages.” The former literally have to do with weight and effectively the 911’s dynamics as well as cost. Mercedes EQ Concept review: Sure, the first in what will hopefully be a long line of electric cars by Daimler is still at concept stage and that did show during the first test rides. Yet, the interior lighting was dressed to impress as was the interface. Production is due to start by 2019. 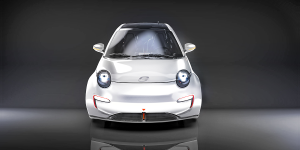 Economy EV: e.Go Life is a city car by e.GO Mobile AG due to debut at CEBIT show in Berlin. Serial production is scheduled for spring 2018 and prices start at 15,900 euros, which may make it just the solution needed for e-mobility to become affordable for most. Driving the e.Go is an 48-Volt system by Bosch and the spec puts the range at 100 km. 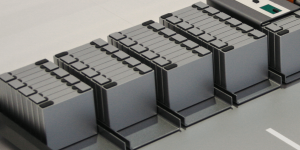 The company based at RWTH Aachen campus will open the order books by May this year. Another compact EV comes from China, where BAIC is to reveal the ArcFox-1 at the Shanghai Auto Show. Spy shots show an electric car that is reminiscent of both the Mini and Soul EV but will sit just two. A 200 km range is enough for city dwellers and kick off is set in China this autumn. Peugeot mini SUV electric and lux? Once the French will update their mini SUV 2008 next year, an electric version as well as a premium model under the DS label are likely. Autobild reports both EV may hit the market as early as 2019 and while the Peugeot 2008 would come with 350 km range, the DS 3 Crossback may add another 100 km on top. Price point: around 19,000 euros. 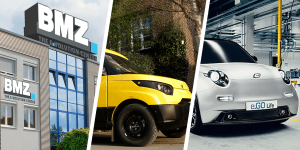 Meet 200+ specialist manufacturers and suppliers from across the HEV supply chain at Electric & Hybrid Vehicle Technology Expo Europe. See this technology first-hand at the Product Showcase, a series of 15-minute live demonstrations on the expo floor from Huber +Suhner, LORD Corp, DEWESoft and more – register here for your free expo pass. 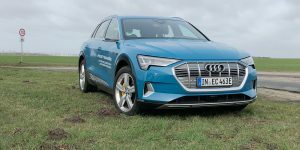 Audi confirmed the Q4 for kick-off in 2019 and the SUV will also feature a plug-in hybrid drive. The Q4 will sit on the same MQB platform as the new Q3 and prices will start at about 28,000 GBP in the UK. In the meantime, Peter Mertens, formerly Volvo’s head of development, is to take the very same role at Audi on May, 1 this year. LeEco sold Silicon Valley HQ: Financial problems at Chinese start-up LeEco seem endless and now show as the company sold its Silicon Valley property that was supposed to serve as its head office in the States. LeEco is Faraday Future’s main sponsor that tries to ride out another cash crunch. Mitsubishi revised its Outlander PHEV Juro, the premium version of the UK’s best-selling plug-in hybrid. The 2017 version is now equipped with an Electronic Parking Brake, EV Priority Mode, and a reversing camera plus some more in-car tech. It is priced from 33,499 GBP after incentives. BMW & Apple, China, Foxconn, Tesla, e.GO Mobile, Honda, Bosch. Ideas on the iCar: Industry insider Georg Kacher is turning the rumour mill as he wonders how an alleged cooperation between Apple and BMW might look like. His best guess is an evolutionary i3, boasting more range and power while being cheaper. 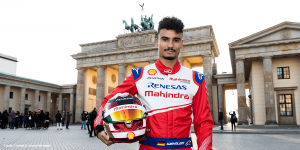 To make that happen, Kacher hints at a move away from pricey carbon to a more flexible material mix while serial production could be done at Magna Steyr. 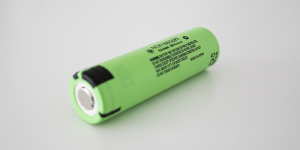 By 2018, up to 200,000 units could be produced annually. China charges ahead: The government of the People’s Republic now published new rules on EV manufacturing thus allowing for licensing of non-automotive producers already this year. Accordingly, Foxconn affirmed its plan to build EVs below 15,000 dollars (we reported) and has further forged alliances with both the Chinese internet company Tencent and the Chinese car dealer Harmony Auto. Tesla to produce in China? The Californian EV maker is thinking about moving production to China, local media reports. Apparently, talks to form a joint venture with Lifan Group and Changan Automobile took place already last week. StreetScooter spreads: German StreetScooter spin-off e.GO Mobile is planning to sell a two-seater based on the StreetScooter C16 for about 10,000 euros as well as a larger version for about 14,000 euros. Through licensing, the EVs could also reach markets in the U.S., Mexico and China, e.GO said. Honda is offering new lease options for both existing and new customers of the Fit EV. A two-year lease or extension of the same length is offered for lower monthly payments of 199 dollars (259 USD before). The move is possibly due to the fact that Honda has not sold any Fit EV this year. Bosch intensifies two-wheeler business: The global supplier is to pool its motorcycle segments under a newly formed unit called ‘Two-Wheeler and Powersports’. Obviously, market leadership is the declared goal and Bosch will thus also strengthen its activities in electric drivetrain technologies for motorcycles.